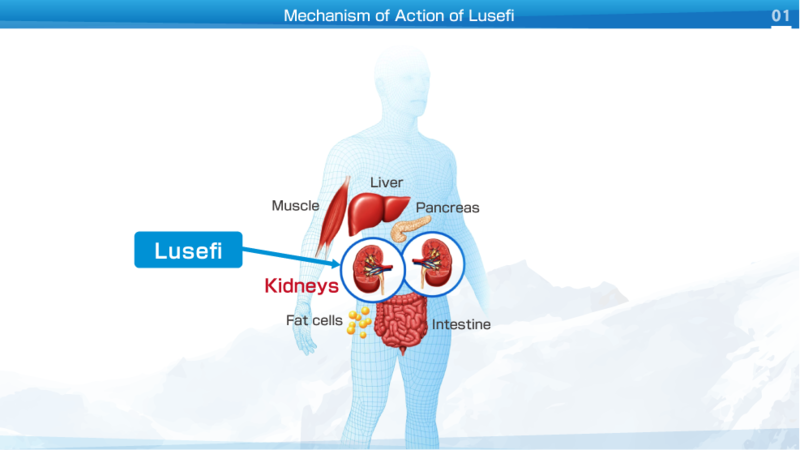 Lusefi is a new class of oral drugs for the treatment of type 2 diabetes mellitus. 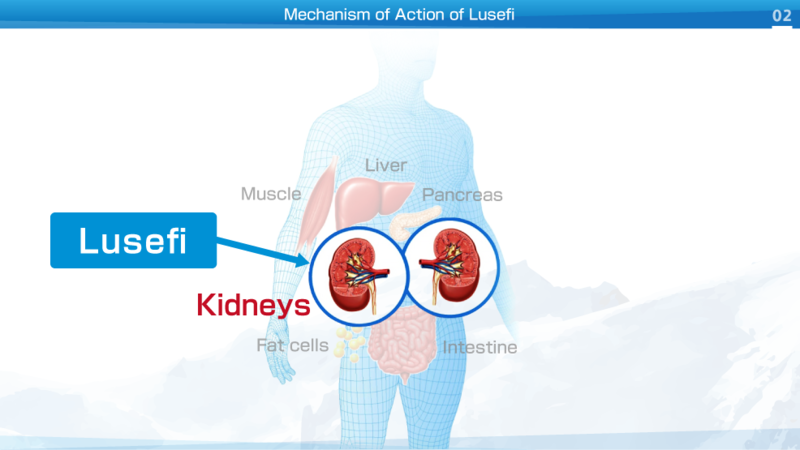 Lusefi inhibits glucose re-absorption in the proximal renal tubules providing an insulin independent mechanism to lower blood glucose. Owing to their mechanism of action, SGLT2 inhibitors could potentially affect the renal functions. 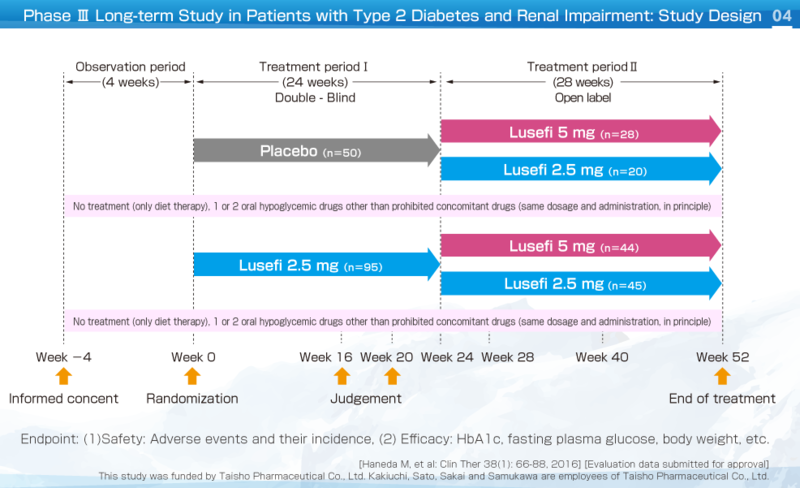 This was a multicenter, placebo-controlled, randomized, double-blind, comparative study (long-term study, parallel-group comparison) that investigated the safety and efficacy of long-term treatment with Lusefi in patients with type 2 diabetes and moderate renal impairment (≤30 eGFR ≤59). 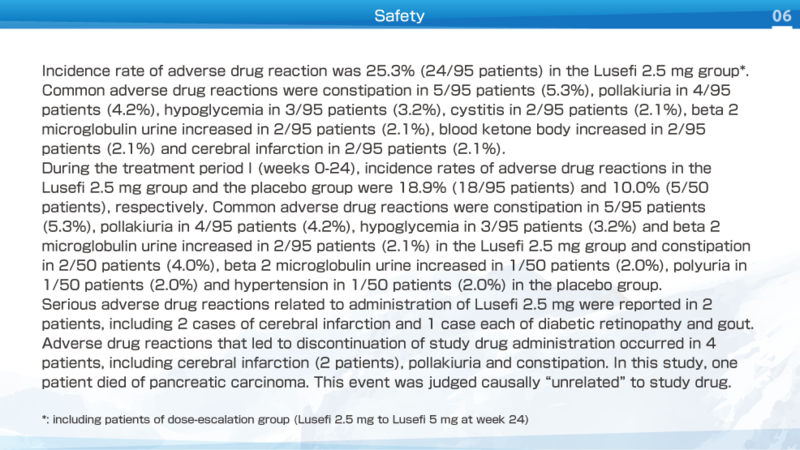 In treatment phase Ⅰ (weeks 0-24), Lusefi 2.5 mg or placebo was administered orally once daily before breakfast in a double-blind manner. 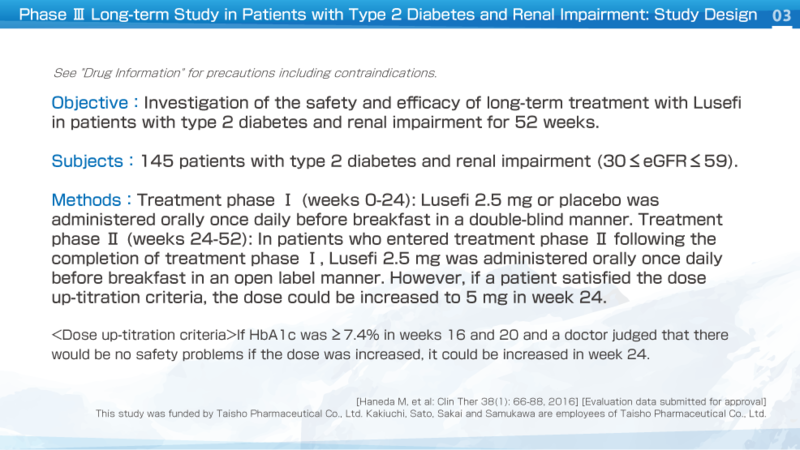 In patients who entered treatment phase Ⅱ (weeks 24-52), Lusefi 2.5 mg was administered orally once daily in an open label manner. If patients satisfied the dose up-titration criteria, the dose could be increased to 5 mg in week 24. 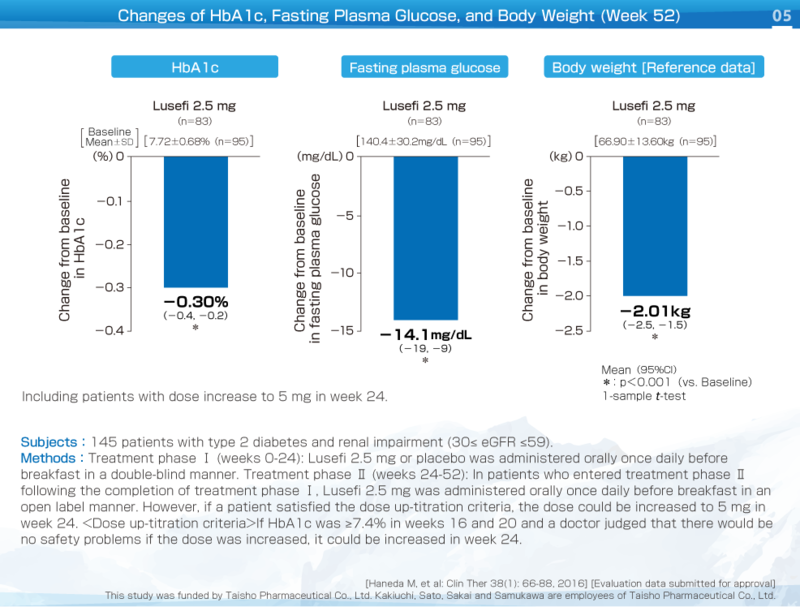 The following changes were noted in week 52: HbA1c: -0.30%, fasting plasma glucose: -14.1 mg/dL, and body weight: -2.01 kg. All of these parameters showed a significant decrease versus baseline. Daily urinary glucose excretion showed a decrease as renal function deteriorated. 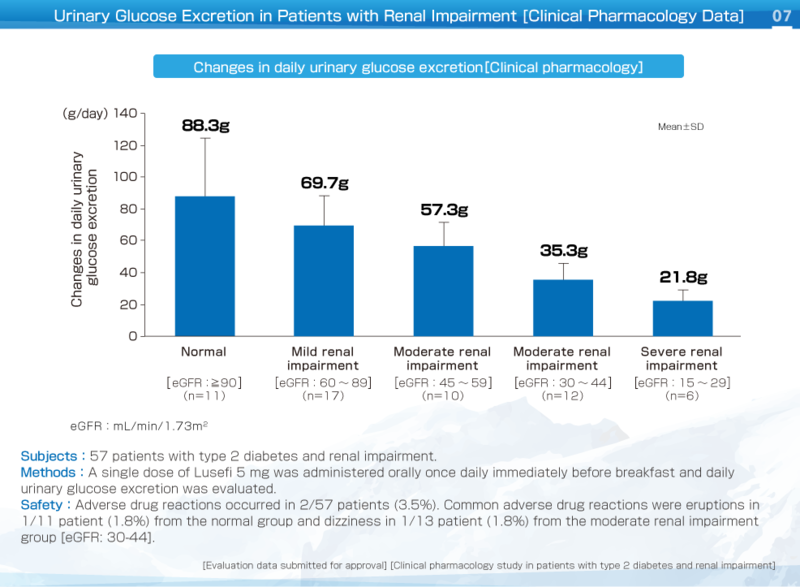 Although urinary glucose excretion increased after administration of Lusefi, the extent of the increase became smaller as renal function (eGFR) deteriorated. 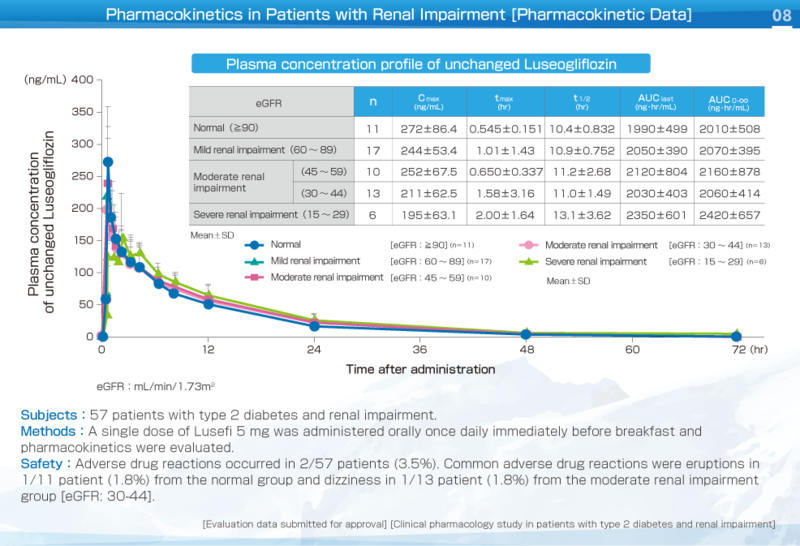 The Cmax of plasma unchanged Luseogliflozin showed a decrease as renal function deteriorated. In patients with type 2 diabetes and renal impairment, the pharmacokinetics of Luseogliflozin were not significantly different from those in healthy adults, irrespective of the severity of renal impairment. In patients with severe renal impairment, AUC was approximately 20% larger than in the normal group. These precautions are described in the package insert. 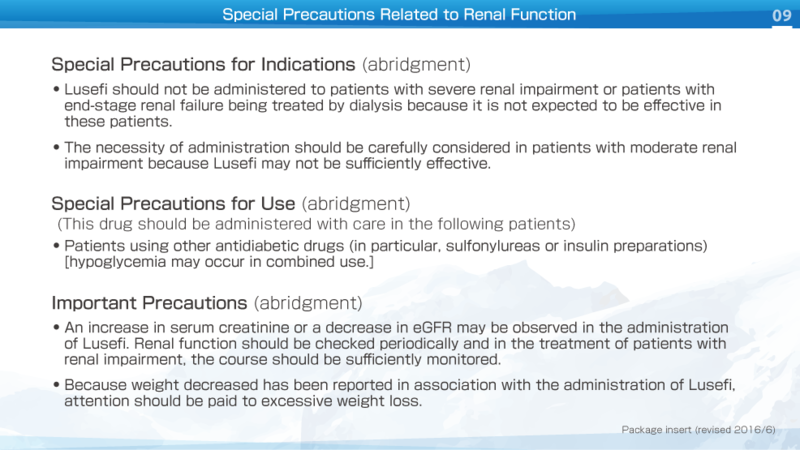 In patients with type 2 diabetes and renal impairment, renal function should be checked periodically.